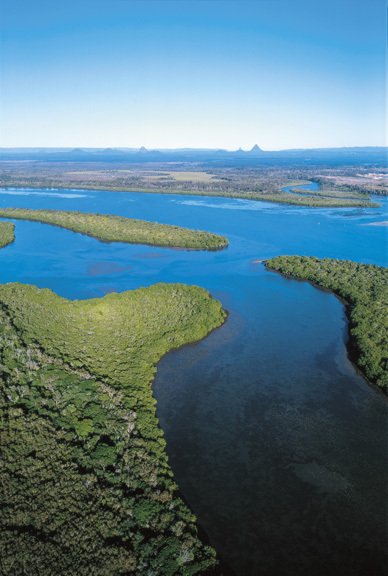 Sunshine Coast Environment Council (SCEC) President, Keryn Jones, today condemned the State Government’s direction to force Council to include Halls Creek as an ‘Investigation Area’ for future urban development in the new Sunshine Coast Planning Scheme due for adoption in coming weeks. “This is one of the worst examples of hypocrisy witnessed in the 30 years of SCEC’s existence”, Ms Jones said. “Prior to winning government, all currently sitting local State MPs committed to protecting the inter-urban break and the Pumicestone Passage, safeguarding the Sunshine Coast’s distinct character and recognised the importance of the local community having a say in its future” she reminded. “Now they are in power they willingly put private sector developer commercial interests ahead of these concerns” she said. The previous Caloundra City and the Sunshine Coast Councils, supported by the local community, have always explicitly excluded urban development within the Halls Creek area which forms a crucial inter-urban break along the region’s eastern coastal zone. Protecting this area was the trade-off for Caloundra South planning to go ahead. This sensitive catchment was intended to be the buffer and rehabilitation area that would aid in protecting the extraordinary environmental and recreational fishery values of the internationally listed Pumicestone Passage. 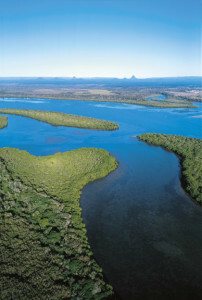 “We know from our extensive and independently peer reviewed research, that the current Caloundra South development as proposed, is likely to preclude achievement of the long term water quality objectives needed to protect the Ramsar listed environmental values of Bells Creek and the Pumicestone Passage. These values are detailed in the government’s own Environmental Protection (Water) Policy (EPP Water)” she advised. “It is clear from all the evidence available to us, that any further development above and beyond what is already planned would certainly mean that these water quality objectives could never be met nor the environmental values protected” she said. “He and Environment Minister, Andrew Powell MP, will need to detail what amended, degraded water quality objectives will be substituted in the EPP Water for Pumicestone Passage should development be pushed into this sensitive area and what this will mean for local fishermen, surfers and beachgoers.” Ms Jones warned. “It seems now they are in government our local members are prepared to ignore their commitments along with the fragile health of the Pumicestone Passage and the strong community and Council resolve that this area should not be developed. To override a clear and consistent position, particularly given the amount of land already approved for development, smacks of looking after developer interest rather than public interest” Ms Jones concluded. The Wildlife Preservation Society of Queensland- Sunshine Coast & Hinterland branch President, Jill Chamberlain OAM, is in full agreement with SCEC’s stance regarding the State Government's insistence that land at Hall's Creek should be included as a ‘future investigation’ area for residential development. Mrs Chamberlain also warned of removing the critical inter-urban break between Caboolture and the Sunshine Coast and referred to Campbell Newman’s position in 2009, as then Council of Mayors chairman, that protecting this inter-urban break was crucial and no-one wants to see a 400km long continuous urban area in South East Queensland. “Well now his government seems to be doing the opposite at the expense of the Pumicestone Passage” she observed.